Details Sabu was known as the "elephant boy" and this is his very last film. Child actor Pamela Franklin is starring here as the escaped tiger goes on the prowl in America. The artwork is special. 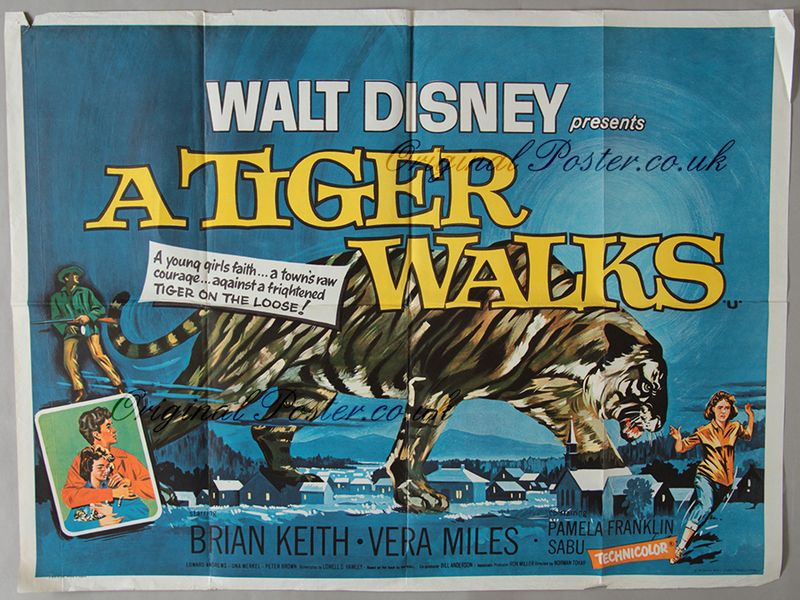 This is a rare Disney film and a rare poster too.